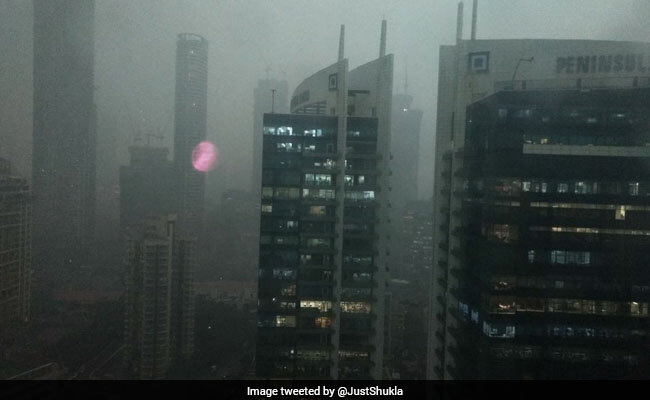 Mumbai has been hit hard by heavy rain and thunderstorm this evening. The skies turned dark by 4:30 pm - something that is unusual in the city. The famed skyline of Mumbai is completely invisible with dark clouds engulfing the skies above the Maximum City. So far, traffic and local trains are running normally and there have been no reports of any delay or jams. Many took to Twitter to report the heavy rain.